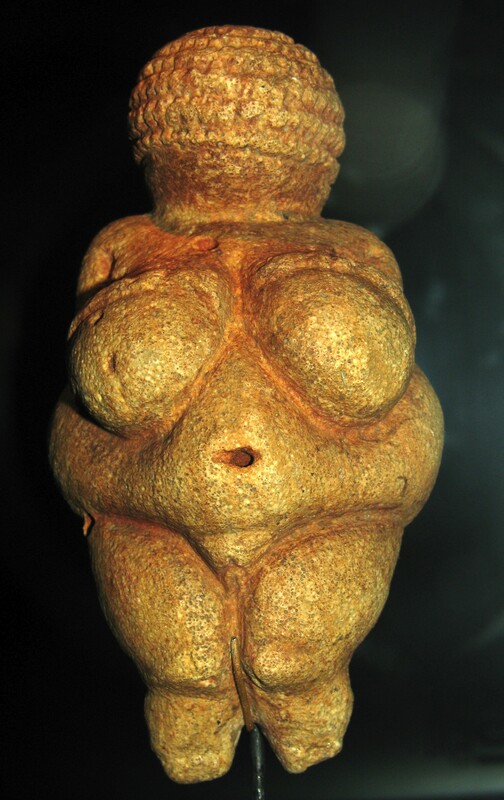 No image problem 23,000 years ago, when the "Venus of Willendorf" was made! Found in Austria in 1908, she's four inches high and carved from oolitic limestone. If you're considering going on a diet to lose weight, you may want to first check the latest evaluations from U.S. News and World Report. Every year, experts and readers of USNWR evaluate hundreds of diets, listing what they consider to be the top 25. The results are pretty depressing. According to the most recent ranking (http://health.usnews.com/best-diet), even their No. 1 top-rated "DASH" diet (Dietary Approaches to Stop Hypertension) only garnered a 30 percent "yes" from readers responding to the question, "Did this diet work for you?" (661 yes, 1511 no). More typical was the South Beach diet, which "worked" for less than 9 percent of the 10,000-plus readers who had tried it. It gets worse: 95 percent of Americans who lose weight in the first four to six months after embarking on a diet plan are back at their pre-diet weight by the end of the first year. You don't even have to look at the data (from the National Weight Control Registry, http://www.nwcr.ws/). Amazon has over 40,000 books with the word "diet" in the title. Ask yourself, if just one of these diets worked reliably, why is there an insatiable market for new ones? For millions of years, before the era of fast - and cheap - food, our innate craving for sugars and fats did more good than harm. The principal risk to survival for our hunting and gathering forebears didn't come from a saber-toothed tiger, the risk of falling off a cliff, or infection from an untreated cut; it came from starvation. We needed those fats (to maintain body temperature), sugars (to provide energy) and proteins (to build cells). Our bodies are super-sensitive to the slightest drop in calorie input and/or weight, because our very survival once depended on it. Around 1960, at least in this part of the world, everything changed with the advent of fast food. In the half-century since, obesity, defined as a Body Mass Index greater than 30, has tripled. (BMI = 703 x weight-in-pounds / height-in-inches squared.) Despite popular opinion, it's not that we're bad, weak people who have no will power. It's that the genes that brought us through all those ancient famines and droughts are the same genes that tell us to eat, and eat, and eat. There's nothing magical or complicated about weight gain; it can't but happen when the calories in exceed the calories out. Food and drink are the input, of course. The output is the energy it takes to stay alive. Just as your savings will increase if your income exceeds your expenses, your girth will grow if your food calories exceed those you metabolize. It's that simple. It doesn't even matter which of the three macronutrient food groups supply those intake calories. From your body's point of view, a calorie is a calorie is a calorie, whether from fat, protein or carbohydrates. If it's not used for energy, it's going to end up somewhere on your body, either as muscle mass or tummy flab. Unfortunately, if you are inclined to the heavy side, nearly four billion years of evolution have taught your body to be quite efficient in how it uses the food-fuel you eat. One pound of energy stored in your body translates to 3,500-4,000 calories, while a 150 pound adult burns only about 600 calories a week by exercising moderately for 30 minutes daily. So although daily moderate exercise - brisk walking, for instance - is virtually essential to maintain weight loss, it takes an adjustment on the intake side to lose weight in the first place. Which is where diets come in. But, as the saying goes, you can't out-train a bad diet. So if you're serious about weight loss, how do you get into that exclusive 5 percent group who lose it and keep it off? Check here in a week. Barry Evans (barryevans9@yahoo.com), BMI 22.6, swears by good Welsh sheepherder genes, no TV, and 10,000 steps a day.